For over 50 years between the 1760s and the early 19th century, the pioneers who sailed from Europe to explore the Pacific brought back glimpses of this new world in the form of oil paintings, watercolours and drawings - a sensational view of a part of the world few would ever se... read full description below. For over 50 years between the 1760s and the early 19th century, the pioneers who sailed from Europe to explore the Pacific brought back glimpses of this new world in the form of oil paintings, watercolours and drawings - a sensational view of a part of the world few would ever see. Today these works represent a fascinating and inspiring perspective from the frontier of discovery. It was Sir Joseph Banks, President of the Royal Society, who popularised the placement of professional artists on British ships of exploration. They captured striking and memorable images of everything they encountered: exotic landscapes, beautiful flora and fauna, as well as remarkable portraits of indigenous peoples. 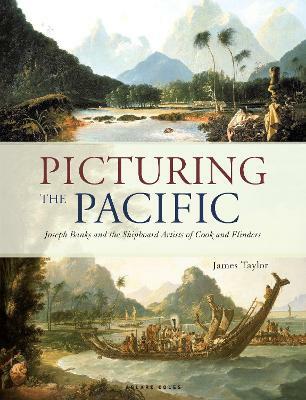 These earliest views of the Pacific, particularly Australia, were designed to promote the new world as enticing, to make it seem familiar, to encourage further exploration and, ultimately, British settlement. Drawing on both private and public collections from around the world, this lavish book collects together oil paintings, watercolours, drawings, prints and other documents from those voyages, and presents a unique glimpse into an age where science and art became irrevocably entwined.